Archaeologists have discovered bronze applications from the belt of an Ancient Bulgar warrior dating to the 9th-10th century AD, the height of the First Bulgarian Empire (632/680-1018 AD), during excavations of the Slavnata Kanara (Glorious Rock) Fortress near the towns of Debrene and Prilep, Dobrich District, in Northeast Bulgaria. The new exciting discovery at the Glorious Rock Fortress comes after in September 2014 the archaeologists from the Dobrich Regional Museum of History found there an amphora (a type of ceramic vessel) containing a treasure of 1,202 Byzantine bronze coins of the lowest face value. The coins are from the 6th century AD, and are more specifically attributed to the period of the reign of Byzantine Emperor Justinian I the Great (r. 527-565 AD). The fortress at Slavnata Kanara (the Glorious Rock) was a small fortification which was used in the Late Roman period – the 4th-5th century AD, in the Early Byzantine period – the 6th century AD, and during the time of the medieval Bulgarian Empire – in the 9th-10th century AD. The newly found bronze applications from the belt of an Ancient Bulgar warrior, or a bagatur, as the mid-ranking warriors were called in early medieval Bulgaria, have been discovered during the excavations of a hut probably inhabited by the bagatur’s family. They have been found by Dobri Dobrev, a chief curator at the Dobrich Regional Museum of History, reports local newspaper Dobrudzhanska Tribuna. The find is especially important because the belts of the Ancient Bulgar warriors were not just mere household items but were used to denote the rank and social status of the warrior during the First Bulgarian Empire. According to Byzantine Emperor Constantine VII the Purple-Born (r. 913/945-969 AD), the metal from which the buckle was made signified the warrior’s public status. He writes in his book “On Ceremonies" that among the Bulgarians, copper buckles were worn by the regular warriors, also known as bagaturs. The mid-ranking and high aristocracy known as boilas had belt buckles made of silver, and only the Tsar (the Khan or Kanas in the pagan period) could have gold buckles and decorations on his belt. 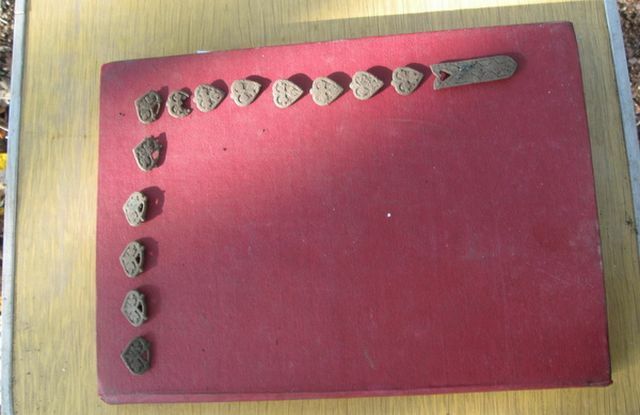 Dobrev has discovered a total of 16 fragments from the Ancient Bulgar warrior’s belt in 4 days of digs, and is still looking for the remaining fragments including the belt buckle. The applications are decorated with floral motifs depicting a lotus, which are typical of the Byzantine and Eastern cultures. The bearer of the newly discovered belt was probably a mid-ranking Ancient Bulgar warrior, possibly with the rank of a bagatur, who lived at the end of the 9th and the beginning of the 10th century in the First Bulgarian Empire, i.e. during the reigns of Knyaz Boris I Mihail (r. 852-889; 893 AD), and his son, Tsar Simeon I the Great (r. 893-927 AD). This is only the second time applications of an Ancient Bulgar warrior’s belt have been discovered during archaeological excavations; numerous Bulgarian museums of history and archaeology have such items in their collections but in most cases these are acquired from treasure hunters or end up being found by accident. The only other case of the discovery of an Ancient Bulgar warrior’s belt in modern-day Bulgaria during archaeological excavations is from a medieval fortress near the town of Izvorovo, General Toshevo Municipality, Dobrich District, in Bulgaria’s far northeast. According to lead archaeologist Boyan Totev, the finding of the Ancient Bulgar warrior’s belt at the Slavnata Kanara (Glorious Rock) Fortress is important because the archaeologists know that all the applications come from the one single belt, and should be able to restore it. He points out that the known applications of Ancient Bulgar warrior’s belts were usually cast in workshops in the capitals of the First Bulgarian Empire, Pliska (680-893 AD) and Veliki Preslav (Great Preslav) (893-970 AD) but the newly found applications appear to be different from them, which likely means that the belt in question is several decades older than the other known belts. The medieval Bulgarian home where the belt has been found was made of wattle, wood, and mud; other artifacts found in it include clothing buttons and pottery. The archaeologists believe that the home was destroyed by an arson, most likely when the Slavnata Kanara (Glorious Rock) Fortress was conquered by the troops of Knyaz Svietoslav I Igorevich, ruler of Kievan Rus (r. 945-972 AD) who invaded the First Bulgarian Empire in 968-971 AD), or by the Byzantine forces that conquered the eastern part of the First Bulgarian Empire in 971 AD. The archaeological data indicates that the late 10th century AD was when the Slavnata Kanara Fortress ceased to exist – except for the discovery of part of a Viking sword which is taken to mean that the fortress could have been inhabited at a later period as well – during the Second Bulgarian Empire (1185-1396 AD). During their 2014 summer excavations of the Glorious Rock Fortress near Debrene and Prilep, the Bulgarian archaeologists also found an Early Christian basilica, which was part of an entire religious complex, together with rock monasteries in the cliffs towering above it; they have hypothesized that the small fortress (totaling 2 decares (app. 0.5 acres) in area) may have been built to protect the religious site from the barbarian invasions in the Late Antiquity and Early Middle Ages. During its first archaeological excavations in the 1980s, the Slavnata Kanara (Glorious Rock) Fortress yielded another interesting find – an Ancient Bulgar medieval saber from the 9th-10th century AD. The fortress is located in the woods of the Batovo Valley which starts at the Black Sea coast and continues inland. It is not mentioned in the known historical sources, which is why its real name is unknown. It was first described by the found of modern-day Bulgarian archaeology, Czech-Bulgarian archaeologist Karel Skorpil, at the beginning of the 20th century, and was excavated at the end of the 1980s by Bulgarian archaeologist Assoc. Prof. Sergey Torbatov from the National Institute and Museum of Archaeology. Unfortunately, the Slavnata Kanara (Glorious Rock) fortress has been targeted by treasure hunters (not unlike thousands of other archaeological sites in Bulgaria) who keep looking for ancient and medieval artifacts but also for alleged treasures buried by Bulgarian haiduti (rebel band leaders) during the Ottoman period, such as Valchan Voyvoda and Peyu Buyukliyata. 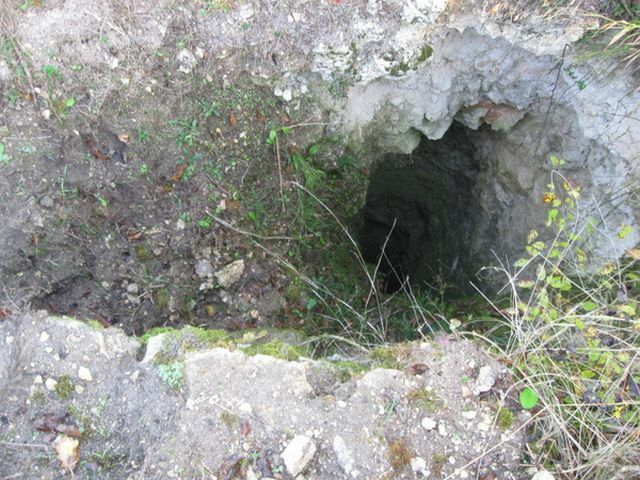 Some of the pits dug up by treasure hunters in the area reach a depth of 10 meters. 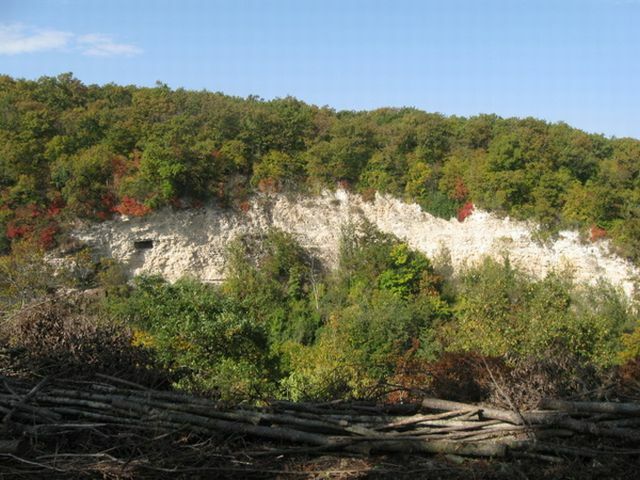 There are four treasure hunting pits near the hut where the Dobrich archaeologists have discovered the Ancient Bulgar warrior’s belt, for example, and it is possible that the rest of the belt applications as well as the buckle may have been found by the looters. On the territory of the Glorious Rock Fortress, there are traces of civilized life from the Early Iron Age (the 12th – 6th century BC) but the construction of the Early Christian basilica and the fortress walls are dated to the second half of the 4th century AD. “We are still at a stage in which we cannot make definitive conclusions. The fact that the place was inhabited for such a long period of time even though it is not very conveniently located, it is hard to access, and it is remote from the large urban centers, indicates that it was a cult center of great religious importance," says archaeologist Boyan Totev. The archaeological excavations of the Slavnata Kanara (Glorious Rock) Fortress have been funded with a total of BGN 20,000 (app. EUR 10,200) by Dobrichka Municipality. “Our ambition is to enable the access to this place with two passages – from the town of Prilep for the tourists from the Black Sea resort Albena, and from the town of Debrene – for visitors coming from Dobrich and Varna. We are going to draft a project for developing this site as a destination for cultural tourism," explains Kostadin Kostadinov, Director of the Dobrich Regional Museum of History. “This place must be show to all Bulgarians as well as to the foreign tourists who are interested in history," he says, adding that he expects more funding from Dobrichka Municipality for continuing the excavations in 2015. The Late Roman, Early Byzantine, and medieval Bulgarian fortress in the area known as Slavnata Kanara (The Glorious Rock) is located near the towns of Debrene and Prilep, Dobrichka Municipality, Dobrich District, in Northeast Bulgaria. There are traces of civilized life from the Early Iron Age (the 12th – 6th century BC) but the construction of an Early Christian basilica and the fortress are dated to the second half of the 4th century AD. The fortress has several archaeological layers – a Late Roman layer from the 4th-5th century AD, an Early Byzantine lawyer from the 6th century AD, and a Bulgarian (Bulgar) layer from the 10th century AD, the time of the height of the First Bulgarian Empire (r. 632/680-1018 AD). It was destroyed three times – during the barbarian invasions of the Huns in the middle of the 5th century AD, during the invasion of the Slavs and Avars at the end of the 6th century AD, and during the Bulgarian-Byzantine wars at the end of the 10th century AD. The Slavnata Kanara (Glorious Rock) Fortress was the home of a large religious complex including a Christian basilica, which has now been partly excavated by the Bulgarian archaeologists. The basilica is said to be disproportionately large compared with the size of the fortress itself, which is why the Bulgarian archaeologists believe that the fortress was built after the temple in order to protect the religious site. The fortress has an area of 2 decares (app. 0.5 acres). The basilica itself is dated to the Late Roman period, and was in operation until the end of the 6th century AD. The Starata Kanara (Glorious Rock) Fortress near Debrene and Prilep is located in the woods of the Batovo Valley which starts at the Black Sea coast and continues inland. It is not mentioned in the known historical sources, which is why its real name is unknown. It was first described by the found of modern-day Bulgarian archaeology, Czech-Bulgarian archaeologist Karel Skorpil, at the beginning of the 20th century, and was excavated at the end of the 1980s by Bulgarian archaeologist Assoc. Prof. Sergey Torbatov from the National Institute and Museum of Archaeology. It was further excavated in 2014 by archaeologists from the Dobrich Regional Museum of History, with lead archaeologist Boyan Totev, and with funding from the Dobrichka Municipality. The archaeologists found there an amphora containing a treasure of 1,202 6th century AD Byzantine bronze coins of the lowest face value (more specifically attributed to the reign of Byzantine Emperor Justinian I the Great (r. 527-565 AD)), three skathas – long Roman swords, and the belt of an Ancient Bulgar warrior, among other artifacts. During its first archaeological excavations in the 1980s, the Slavnata Kanara (Glorious Rock) Fortress yielded another interesting find – an Ancient Bulgar medieval saber from the 9th-10th century AD. 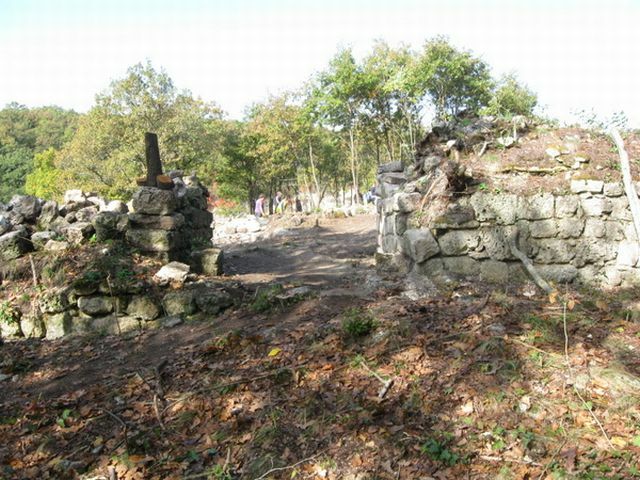 The medieval Bulgarian home where the belt was found was made of wattle, wood, and mud; other artifacts found in it include clothing buttons and pottery; the archaeologists believe that the home was destroyed by an arson, most likely when the Slavnata Kanara (Glorious Rock) Fortress was conquered by the troops of Knyaz Svietoslav I Igorevich, ruler of Kievan Rus (r. 945-972 AD) who invaded the First Bulgarian Empire in 968-971 AD), or by the Byzantine forces that conquered the eastern part of the First Bulgarian Empire in 971 AD. The archaeological data indicate that the late 10th century AD was when the Slavnata Kanara Fortress ceased to exist – except for the discovery of part of a Viking sword which is taken to mean that the fortress could have been inhabited at a later period as well – during the Second Bulgarian Empire (1185-1396 AD).